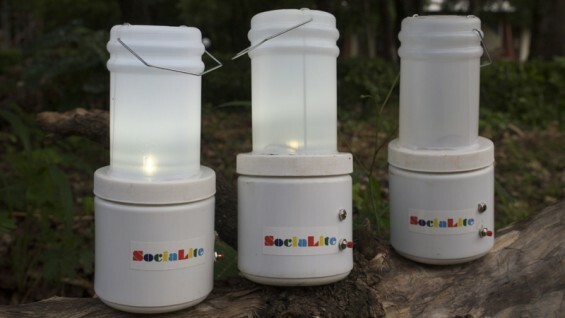 SociaLite began in 2006 when engineering Professor Toby Cumberbatch challenged his first year students to design a safe lighting system for rural, poverty-stricken communities in Ghana. The students devised a way to create solar-powered lanterns by combining affordable LED technology with throwaway bicycle spokes,Tampico soda bottles and Ultra Beauty hair product containers. Each kit can be customized to meet a village’s lighting needs at a modest cost, a down payment of $5 with a service charge of $1. The money generated by SociaLite enables students and faculty from Wa Polytechnic, Cooper Union’s local partner, to visit and train remote communities to assemble and manage their lighting system. The Economist included SociaLite in an article featuring solar powered alternatives to kerosene-fueled lanterns and mentions the partnership with Wa Polytechnic.